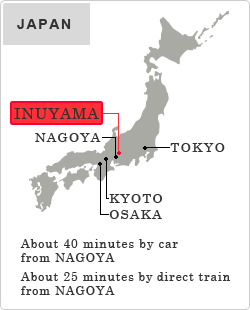 INUYAMA is a city in the northwestern part of AICHI prefecture, which belongs to central Japan. INUYAMA is located where the KISO River debouches into the NOUBI plain, and has prospered as a key junction of transportation since the old days. In the SENGOKU era (the age of provincial wars) around the 16th century, many battles were staged around this city. 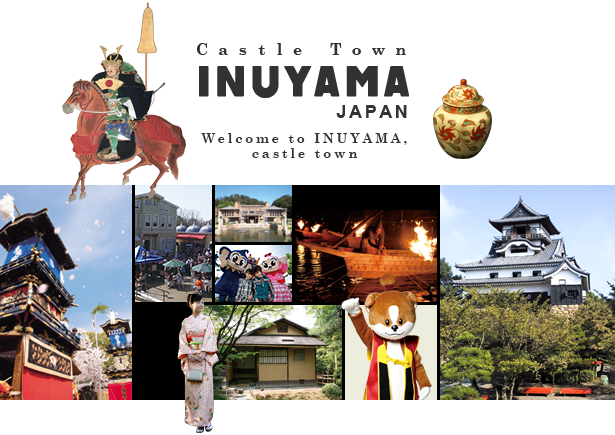 After this war period INUYAMA h developed as a castle town and still today many historical sights (such as INUYAMA castle, a national treasure) are left as they were in those old days. 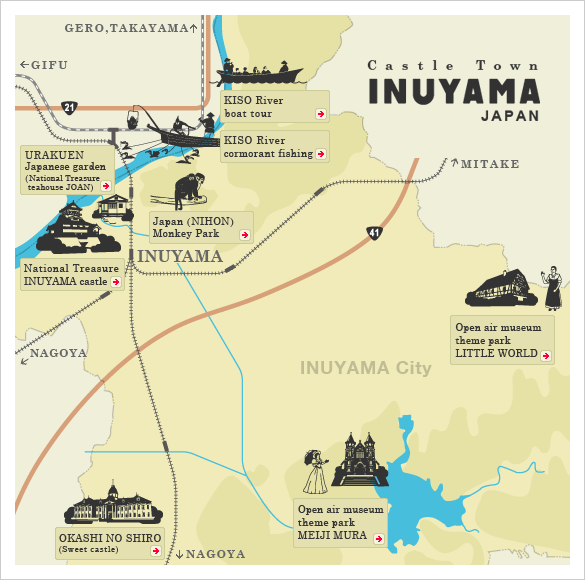 With beautiful nature, a long history, and attractions, we assure you a perfect vacation in INUYAMA.